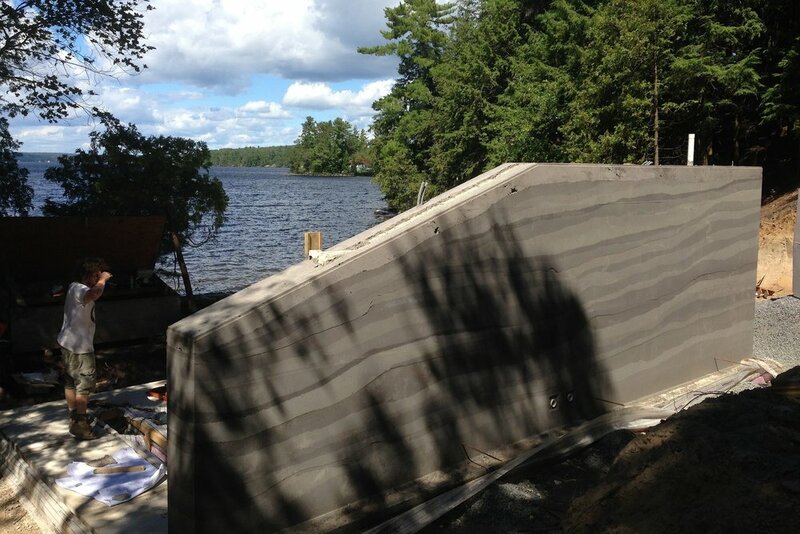 Lake Muskoka Bunkie — Tapial Homes Inc. Designed by Sprout Studios, this modern bunkie serves as a quiet retreat in the heart of the pristine Muskoka landscape. Tapial Homes was hired to provide foundation and rammed earth for this unique space. Photography courtesy of Hideaways Magazine.